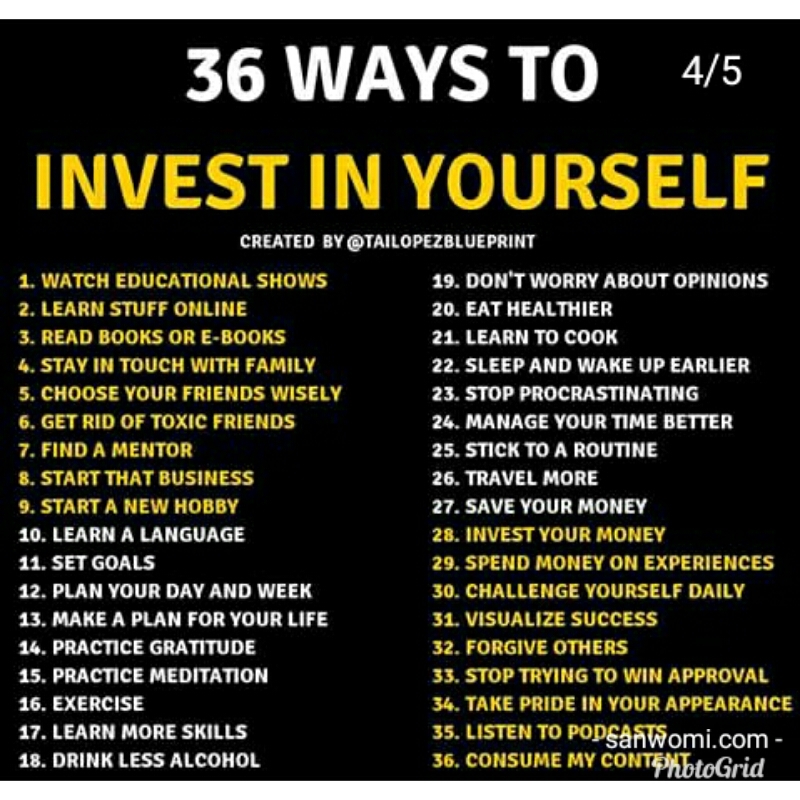 Home / Unlabelled / 36 Ways To Invest In Yourself. 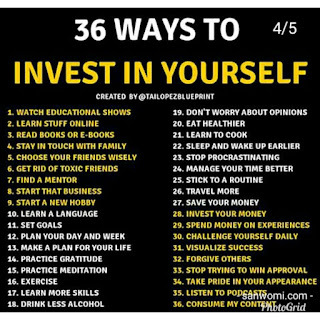 36 Ways To Invest In Yourself. 3 Read books or e-books. 4 Stay in touch with family. 5 Choose your friends wisely. 6 Get rid of toxic friends. 9 Start a new hobby. 10 Learn a new language. 12 Plan your day and week. 13 Make a plan for your life. 19 Don't worry about opinions. 22 Sleep and wake up earlier. 24 Manage your time better. 25 Stick to a routine. 29 Spend money on experience. 30 Challenge yours self daily. 33 Stop trying to win approvals. 34 Take pride in your appearance.